Laura joined the Spitfire team over 4 years ago after 22 years of loyal service with another local and well-respected design firm. 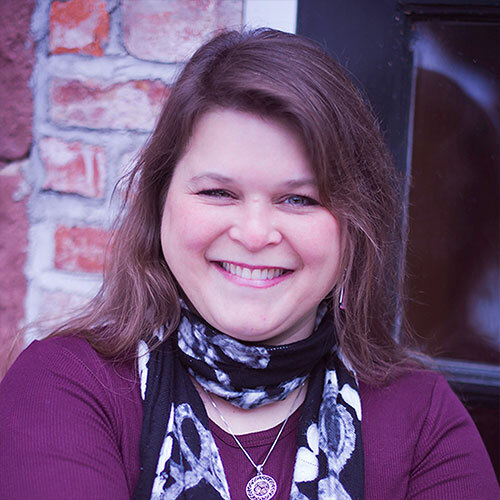 In that role, Laura served as Senior Designer and was the creative lead on brand identity programs, print collateral, e-marketing, environmental graphics and packaging for both corporate and non-profit organizations. Her experience includes a broad gamut of industries and companies including state agencies, utilities, financial institutions and retail food marketing. Laura finds creativity in everything and her signature style is a sophisticated, clean design. She strives to be a part of the creative process from beginning to end – often stepping away from her keyboard for brainstorming sessions and conceptual development to providing technical advice for print and web. Laura’s “whatever it takes” attitude has ensured the best possible results from a design and cost perspective for our clients. Laura is a graduate of the University of Connecticut with a B.A. in Fine Arts.